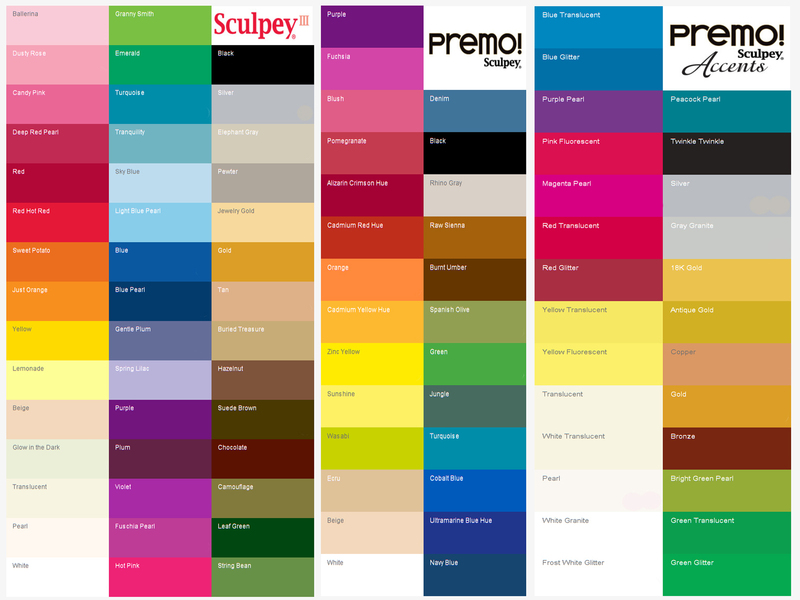 This chart shows the basic colors available in the Sculpey brand polymer clays used in making our PeaceLeaf Jewelry. And of course other colors and effects can be blended from this basic palette! Since the colors are pigments in the clay itself, the colors don't rub off either.